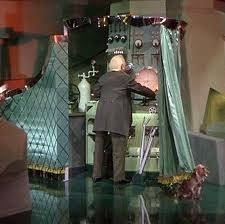 When using resources that rate nonprofits, be sure to look behind the curtain to understand information sources and ranking systems. Have you ever used GreatNonprofits as a research tool for evaluating which charities should receive your donations? This website (among others) is a recommended resource in my materials for Giving 2.0: The MOOC. It’s been around for five or so years and has big-name national endorsements (including a Bill Gates testimonial). The geography search function is set up by city, which isn’t particularly helpful for metropolitan areas with multiple municipalities (like the Twin Cities region). Plus, as with many nonprofit organization databases, the user can’t tell if the location is where the nonprofit is based or where it provides services. And most concerning, some rankings appear to be paid listings. For example, when I explored the site, Second Harvest Heartland was listed as a “top-nonprofit” (via AdChoices), but it had no actual reviews in the system. So, what’s the take-away? Caveat emptor. GreatNonprofits is not alone among ranking systems that have limited or sometimes misleading information. When you’re evaluating your charitable giving choices, take time to look behind the curtain of rating tools. Learn about their sources of information and their ranking criteria. What Are Your Favorite Comparative Tools? If you’re a donor, what do you think of Yelp-like sites as tools for rating charities? What are your favorite resources to research and compare nonprofit organizations? If you’re a nonprofit communicator or fundraiser, how much time do you invest in creating and enhancing your profile on the many ratings sites? Which ones are the most important to monitor and maintain? Please share your thoughts so we can all be informed donors!